Easter celebrations are just around the corner! Although we try to impart the true meaning of Easter on the kiddos- to them it is a time of chocolate rabbits, egg hunts and a time to gather with all the cousins. The Etsy up-cycle artists are hard at work bringing fresh ideas to the younger folks at prices that make every parent smile! Keep the kitchen lessons rolling by letting the kids make their own chocolate treats. 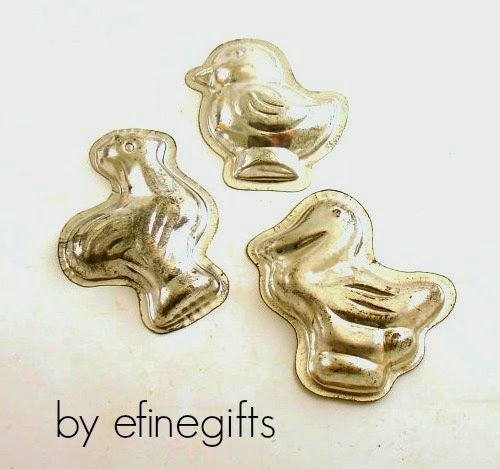 Vintage chocolate molds lend whimsy and nostalgia to any party and the molds double as kitschy décor. Better "hop" on these molds from efinegifts priced to sell fast! Fill the basket with treats they can use year round! 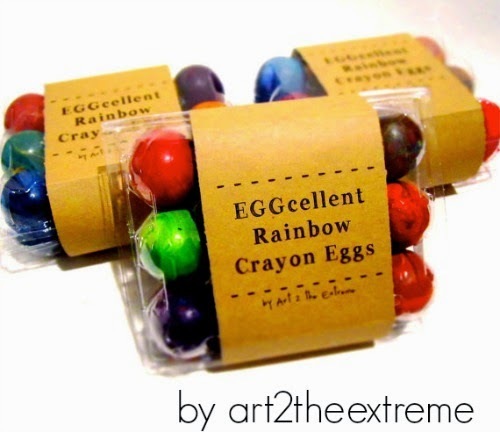 No fear of breakage with these chunky eggs made of recycled crayons by art2theextreme. Favorite this innovative shop for crayons in every shape and size imaginable! 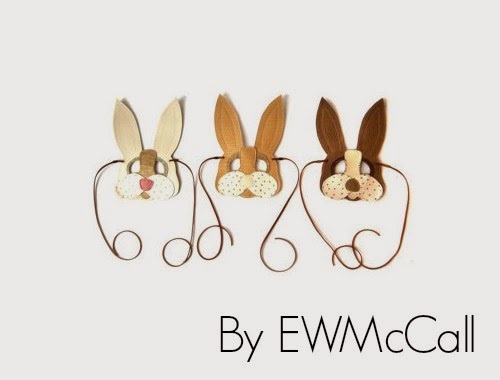 Make-believe goes wild with these adorable bunny masks from EWMcCall! Made from new soft fabrics these Easter treats technically aren't an up-cycle but they were too cute not to include! Pocket-sized pals are popular with the wee ones right now! 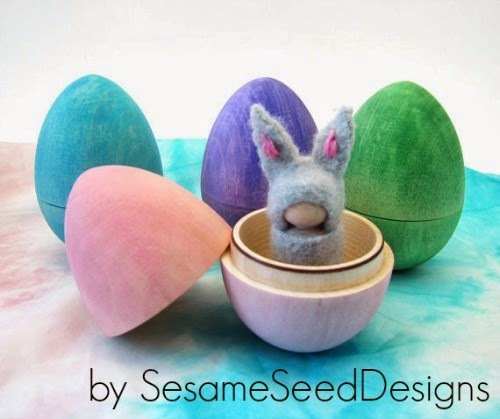 SesameSeedDesigns crafts these sweet bunnies from up-cycled sweaters and tucks them in a wooden egg for an Easter morning surprise! 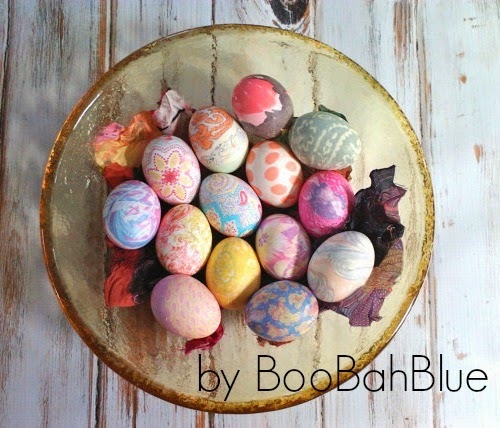 For more up-cycled Easter treats search Easter up-cycle on Etsy! They tell me Spring is here but with the weather we have been having, I truly am starting to doubt it. We had sleet, snow and freezing rain this past Tues. So I figure despite the weather I was going g to make something Spring inspired. I made a Bunny in a Can. Sounds kind of silly I know but these little guys are quick and easy to make. 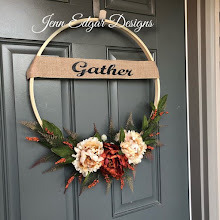 If you celebrate Easter they can be part of your Easter decorating and after it is over they can be left out for Spring; If you don’t celebrate Easter they are the cutest little Spring addition to your home. 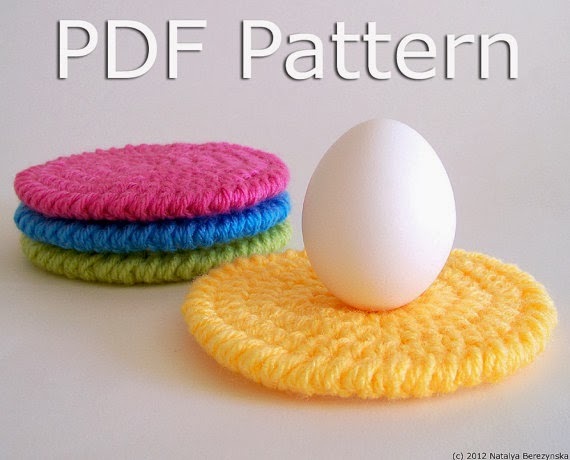 It is so easy to make and the pattern has all the directions. The pattern has the bunny in a fabric pouch…I put him in a can. After he is sewn together, turn to the right side and stuff. Step 2 – Tea dye him by making a very strong tea solution and then painting it onto your fabric rabbit. When he is dry paint him with dark brown paint. When that is dry go over it in places with a little black. Make it look smudged. Let dry. You can put him in the oven to hasten the drying process. REMEMBER DO NOT leave the kitchen while the bunny is in the oven, safety first. Set the oven on 200 degrees. Pop him in for about 10 min and he should dry. Step 3 – Take him out and lightly sand him if you want an aged worn look. If that is not the look you want just skip this step. Step 4 – Stitch a simple face on him. Don’t forget his whiskers. Now the bunny is done. Set him aside. Next you need to alter a can. Step 5 – You will need a can. I used a regular size soup can. After you open the can remove the lid. Make sure there are no sharp edges. If there are use a pair of plies and squeeze them to the can so they are no longer sharp. Wash out the can completely and dry it. Step 6 – Spray paint the can black. When it dries spray it with matt clear sealer. Before it dries sprinkle ground cinnamon over the sealer. This will make the cinnamon stick to the can. When you have enough on your can wait a few minutes and then spry again with matt clear acrylic spray, let dry. Step 7 – Cut a piece of cheesecloth to cover the can. Separate it so it is only one layer thick. Wrap the can with the cheesecloth and then tie it on with a piece of cheesecloth. Step 8 – Now put some glue on the inside and stick some moss around the top. When it is done put the rabbit in the can. You can glue him in or you can just sit him there. It is up to you. You now have a rabbit in a can. You can embellish him with a paper tag or anything else you might want to use. I was going to wrap the can in a label that said Rabbit Stew, but I am a vegetarian and just could not do it. If you love the rabbit in a can and don’t want to make it you can find a listing for him in my etsy shop. Thank you for reading and if you have any questions please give me a shout. Who's ready for some spring flowers? I am!! If you're spring flowers aren't popping up yet, check out this gorgeous treasury of Spring items. 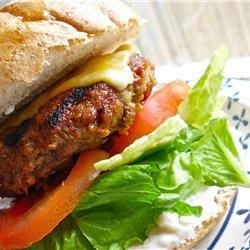 From All Recipes.com is the Big Smokey Burger. If you like that smokey taste in your hamburger this would fit that bill. If you want a little bit of sweet with your burger how about this Pineapple Teriyaki Burger. 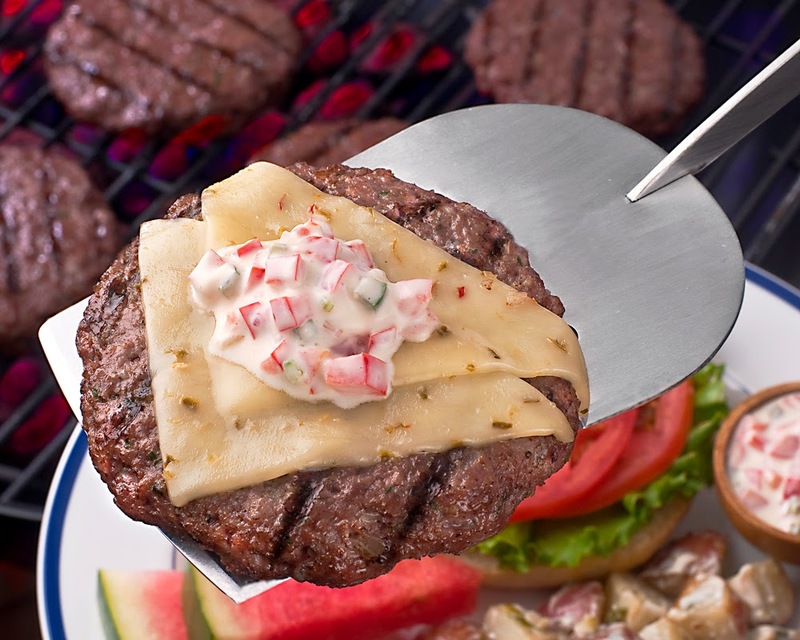 Just add a slice of pineapple to your burger. How about this one for your kids. You know how most kids love mac and cheese(and us adults too!). 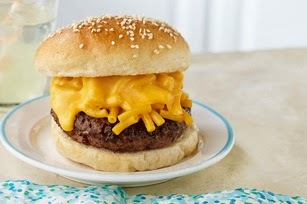 Get your kids to eat their hamburger by putting a little mac and cheese on it like this one from KraftRecipes.com. Makes me hungry just putting this post together. I found lots of different recipes to try out. Guess we will be having hamburgers this week! 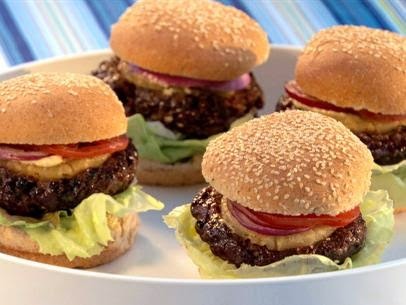 So whether you are cooking in the kitchen or firing up the grill outside, looks like there are plenty of ideas to add a little pizzazz to that food stable called....the hamburger. Spring cleaning has its roots in the Celtic tradition of Beltane. When the weather began to warm, cottage windows were thrown open, floors were swept out, and herbs were used in an attempt to rid the farm of negative spirits that might have roosted over the long winter. Today spring cleaning is seen as the perfect time to freshen our modern homes. 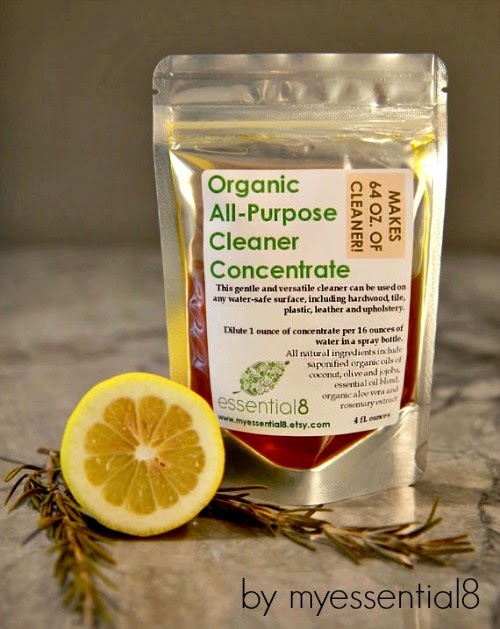 These Etsy artists keep Mother Nature happy with their earth-friendly products featuring locally sourced materials and all natural components..
Only essential oils and castile soap go into safe all-purpose house cleaner concentrates from myessential8. One 4 ounce recyclable bag pours into 64 ounces of usable liquid. 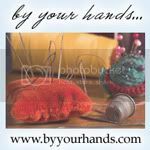 Check out this shop for a wide selection of home products in crisp spring scents..
Save money on dryer sheets and reduce waste with brightly colored wool dryer balls. 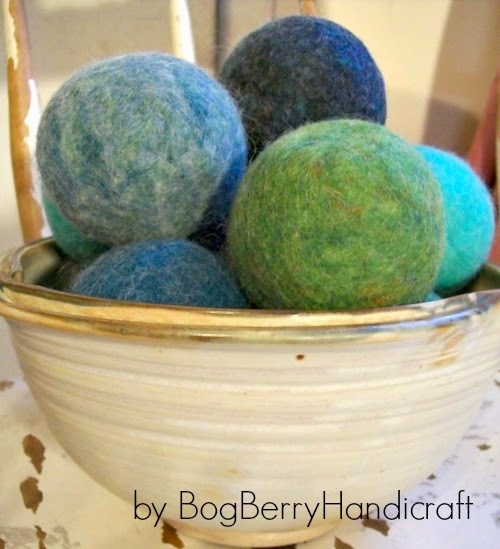 Using locally sourced wool, BogBerryHandicraft offers balls in every color making laundry time more efficient and globally conscious. Shop Bog Berry Handicrafts and use the coupon code SPRINGCLEANING now through the end of May to receive 10% off purchases of $40 or more! Now there's inspiration! Be sure to have hankies ready for dust sneezes during cleaning. Made of ultra soft sustainable bamboo and organic cotton, these reusable cloths are perfect for wiping hands as well as noses. 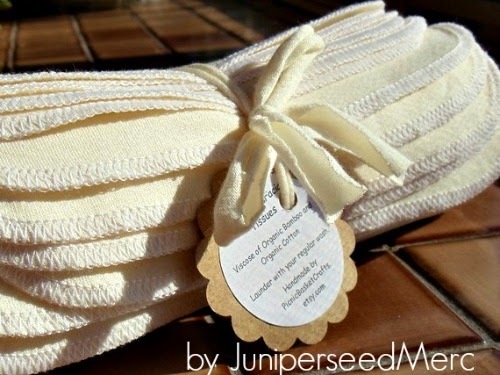 JuniperseedMerc creates a beautiful line of "unpaper" products and cleaners to make your home super green. 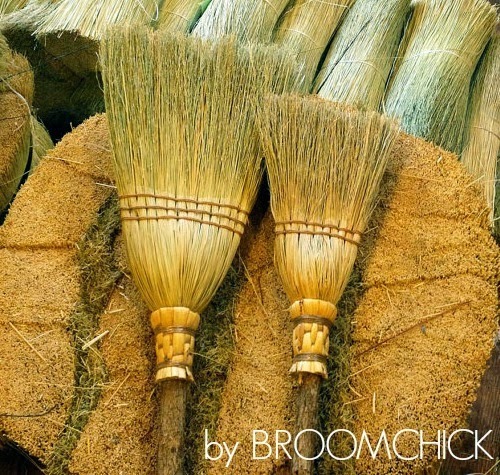 Get the kids involved with this mother-daughter broom set from Broomchick. Using 100% broom corn harvested by the artist these all natural sweepers will outlast and out-clean any store-bought synthetic. Even the handles have a higher purpose having been sourced from a reforestation project in Oregon. 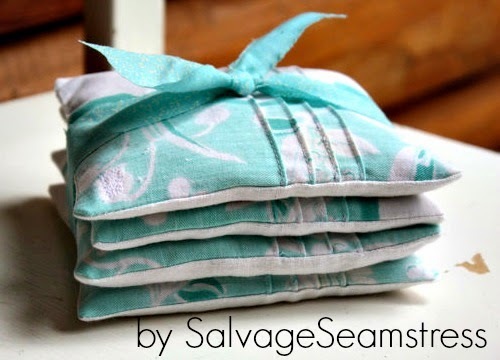 Infuse the home with lavender filled sachets from SalvageSeamstress. Using up-cycled vintage fabrics this artist stitches perfection into additional home accessories such as aprons, pot holders, and dish towels. 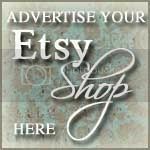 For more fabulous eco friendly finds search spring cleaning on Etsy. When I see a good or interesting tutorial I always save it with the hopes of trying it some day. I am usually busy doing something that the "some day" doesn't seem to happen very often. I thought maybe I would share some of them with you and maybe you could give them a try and see how they worked out for you. Burlap is "in" nowadays and for those of you that use it Ella Claire Inspired shows you how to wash and cut burlap. I really like this next one from Lots of DIY. We have several of these river rocks by our river and I thought what a cute idea to make one of these and put them in your garden. I plan on trying this one this summer. And then back to my love of quilting. 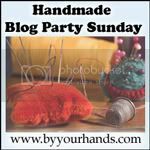 I do lots of applique and that is probably my favorite quilt to do, so I thought I would share this tutorial from Creativity Amongst Chaos. I do mine a little different, but I thought this tutorial was very good and detailed. 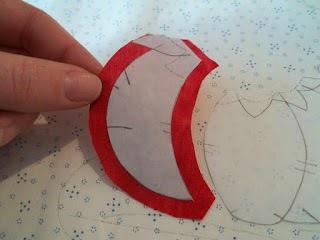 All you applique quilters can check it out. At Up-Cycle Nation going green is celebrated year round, but today green goes a shade deeper to celebrate Saint Patrick's Day with four leaf perfection. Irish or not, these Etsy up-cycle artists have envy-worthy goods for the lucky seeker. 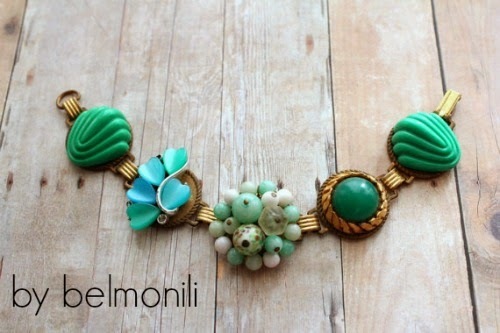 Grab a wrist-full-of-whimsy at Belmonili where vintage buttons and costume jewelry are repurposed into dreamy bracelets, necklaces and bridal accessories. 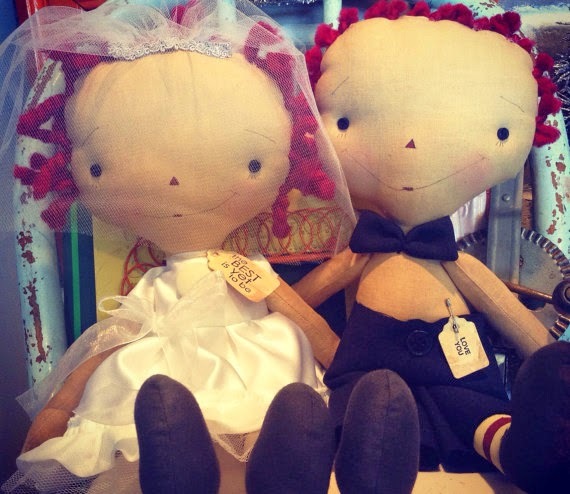 Be prepared to linger, this artist's shop is bursting with fanciful delights! Spring flings, garden parties, and prom season are hot on the heels of St. Patty's day. 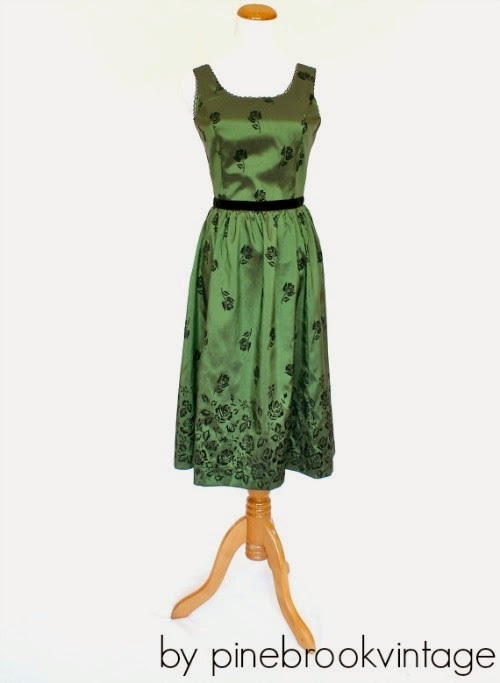 Shop early to score that one of a kind vintage dress for a special occasion or everyday wear at Pinebrookvintage. Need vintage with an attitude? 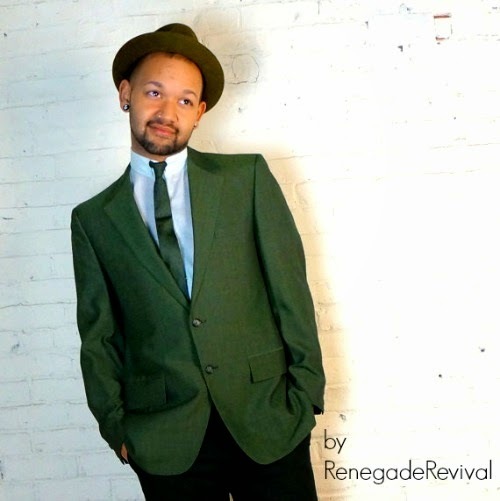 Strut over to Boston's RenegadeRevival and claim your inner rebel. This sharkskin jacket is oh sooooo sharp! 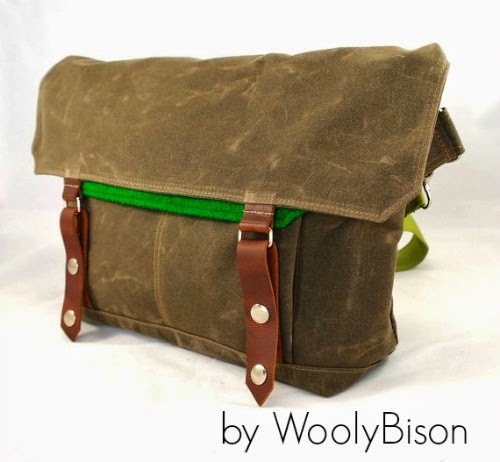 Waxed canvas and up-cycled wool marry urban and rural tastes at WoolyBison. Handmade with quality and durability in mind, these bags are destined to become legendary. 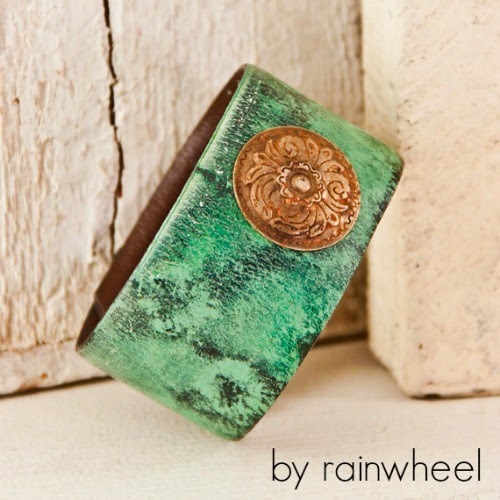 Of course, it wouldn't be St. Patrick's day without raising a good mug of beer and toasting all Etsy up-cycle artists who work everyday to keep the "Go Green" movement alive! Cheers to you! 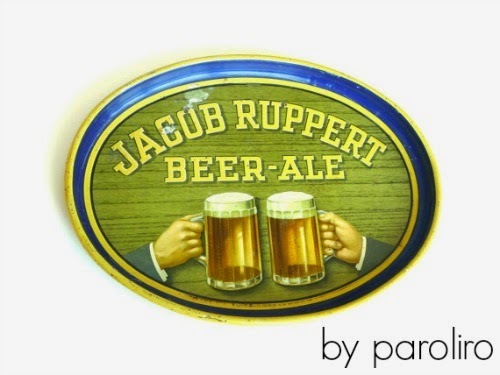 To find more fabulous eco-friendly finds like this vintage brewery tray from paroliro, search recycled green on Etsy. 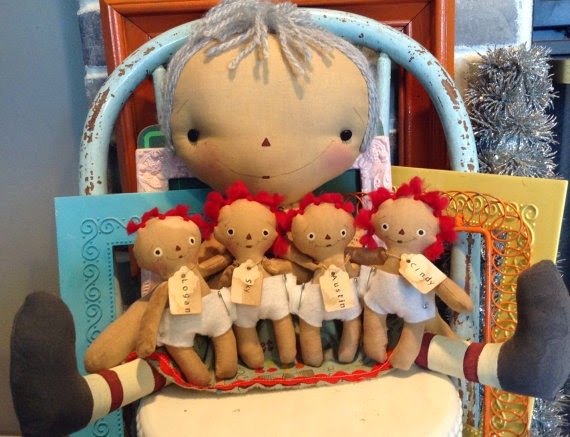 Today's featured shop is Old Ragdoll Cupboard. 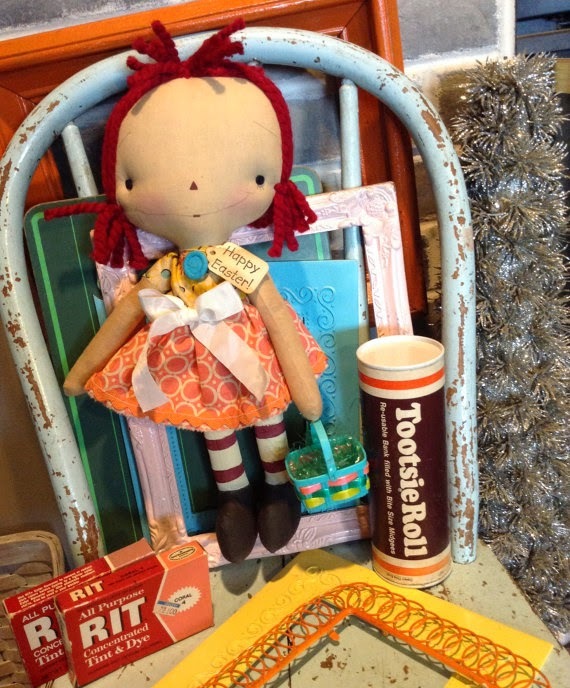 Tiffany specializes in making vintage style rag dolls. I have to say I am sorry, but I am so far behind in my work due to the snow and ice storm we had last Friday, (can’t put any of the dyed fabric out to dry), that all I have this week is pictures of the paper swag with flowers on it I told you I was making for my fireplace mantel last week. . I printed it on craft card stock so it would have a muted look to match my living room. 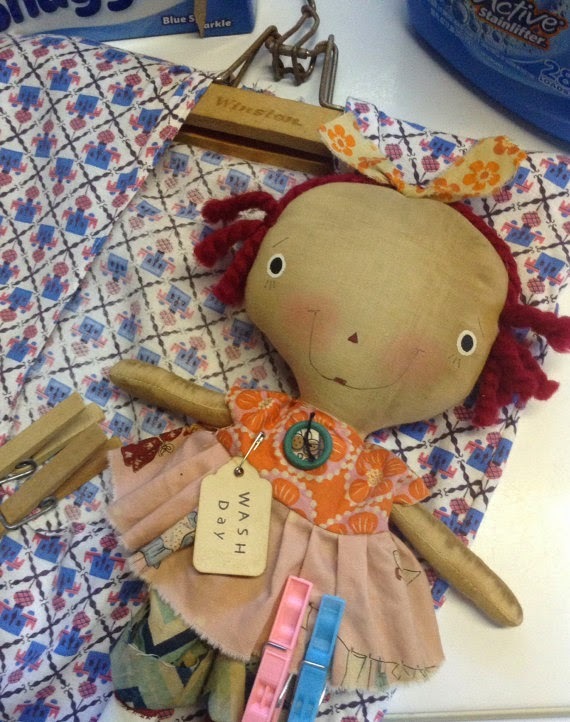 Next week I will show you how to make a quick and wonderful looking little mini prairie doll just the right size for a doll house. You can put them on a swag cinnamon sticks and they look great! Who wouldn't love a handmade bunny for Easter? This collection of handmade bunnies is just simply awesome. Take a peek at all of them by CLICKING HERE. Well I would think most everyone is so tired of winter especially with the harsh winter some of you had so I thought maybe we should turn our thoughts to Spring. Let's shake the winter blues off and start to create. Here are some patterns available for all of you crafters and sewers from the wonderful Etsy shops. You always need coaster for your drinks to sit on your tables and natalya1905 has a pattern for just that and these are made with pretty spring colors. 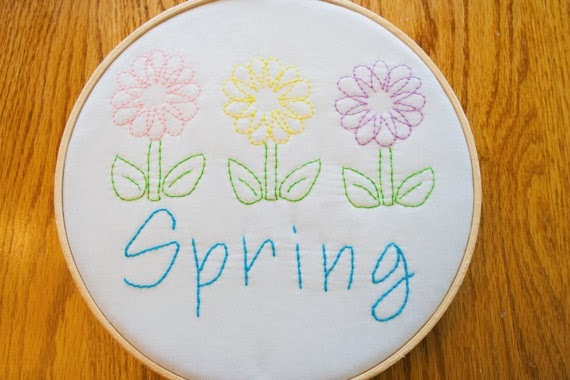 Bonnie at BonnieBraeCrafts has this cute spring embroidery pattern for all of you stitchers. You can make this and hang it on your wall to add a little spring to your home. 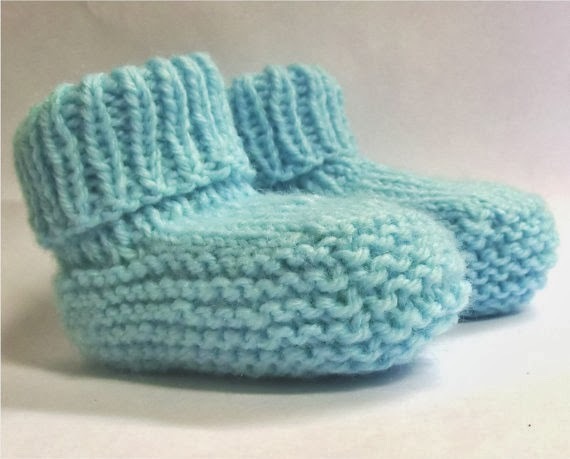 And who doesn't know someone that has a baby that would love a new pair of baby booties. 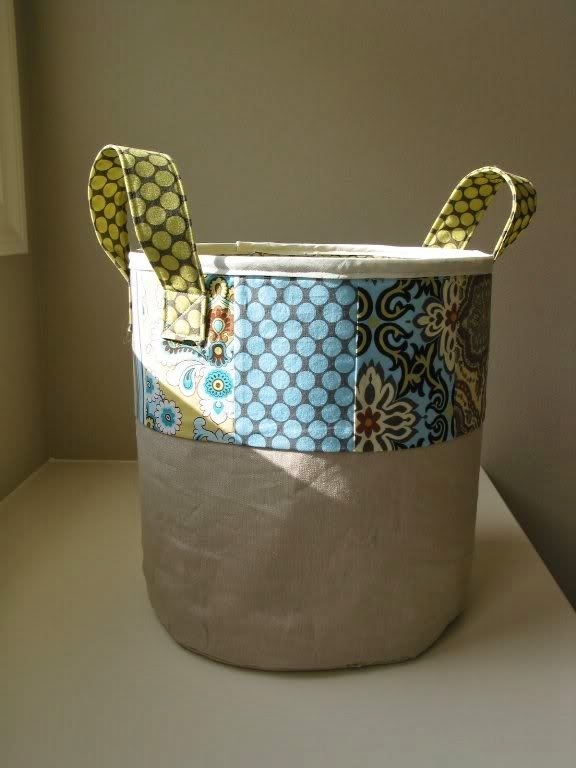 Ruth over at RuthMaddock has this great pattern for you. And then there is my favorite pastime.........quilting. 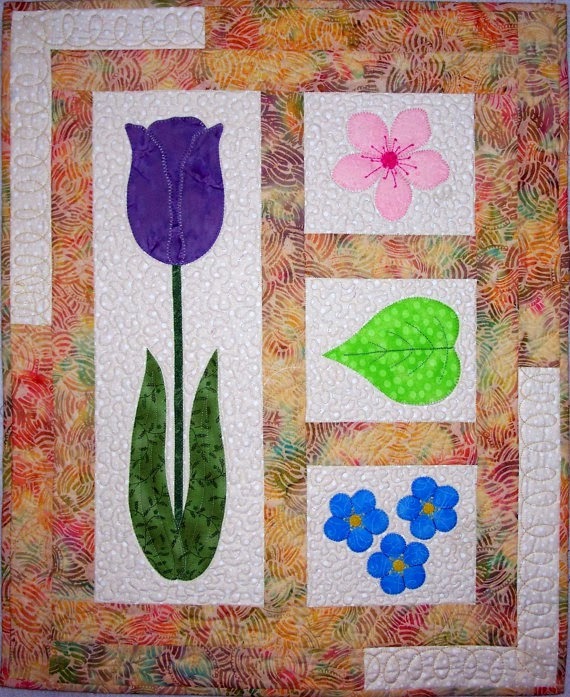 I love all the spring colors and flowers in this quilt pattern from QuiltLilyDesigns. So if you are a knitter, crocheter, quilter or crafter Spring is a great time to get those creative juices flowing again.